Subject 13 cd key is a digital product obtained through direct download from the Steam platform. After purchasing the digital code of Subject 13, you must enter the code that you will receive by email into your Steam account. 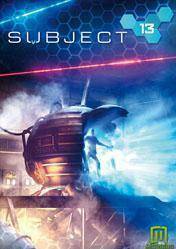 Subject 13 is a new adventure game developed by Paul Cuisset, author of works like "Flashback", "Future Wars" and "Moto Racer". Subject 13 is a real adventure that immerses us in a mysterious world full of secret hideaways and all kinds of mechanisms that we must analyze and turn. Travel from a mysterious secret base to the ends of the world will witness a truly wonderful story full of adventure. We can handle many of the items on the screen with our mouse, but we must make use of all our insight and intelligence to achieve solving this enormous challenge. With stunning graphics and a gripping story, we will be hours front of our screens trying to unravel the secrets of this wonderful story. There are no comments yet about Subject 13 . You can be the first one! SUBJECT 13, PS4 Gameplay Walkthrough Part 1.